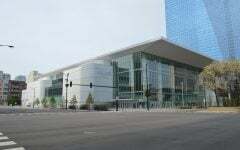 It was a different year, but similar story Wednesday night at McGrath-Phillips Arena as No. 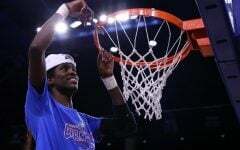 20/17 DePaul (6-3) for the second year in a row rallied from a big first quarter deficit to once again come out victorious 76-60, in the 36th game played between the Blue Demons and local rival Northwestern. Mart’e Grays and Dee Bekelja both scored a team-high 16 points. 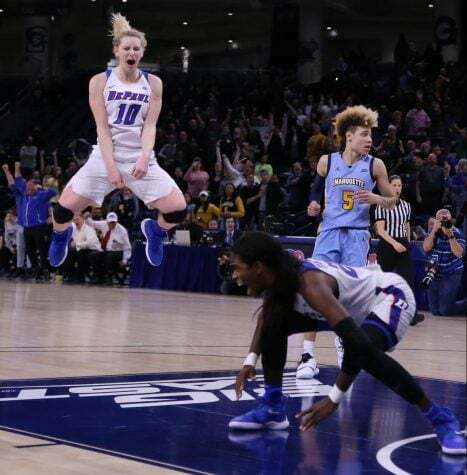 All of Bekelja’s points were scored in the second half and off the bench, which tied her career-high in points scored and field goals made with seven of them. 11 of Grays’ points were scored in the second half. Ashton Millender poured in 13 points while Chante Stonewall dropped 12 points and pulled down a game-high eight rebounds. 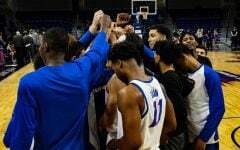 DePaul ended the night collectively shooting 41.3 percent from the field and 37.5 percent from behind the arc with 12 total 3-point baskets. 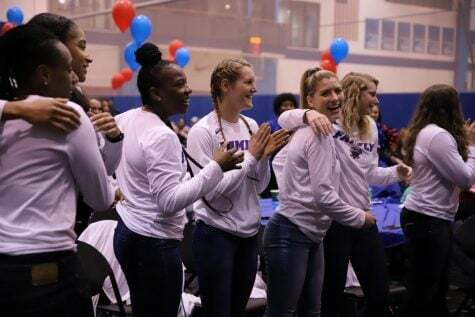 Even though DePaul was outscored in the paint 30-22, DePaul head coach Doug Bruno mentioned that Grays’ performance was key to the team’s win. 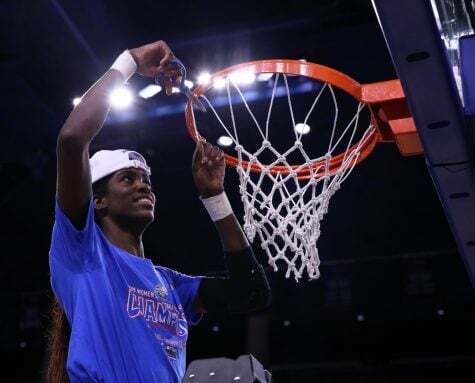 Grays made it a priority in the second half to utilize her six-foot-two-inch frame as a means to play underneath and around the basketball more than she has been in DePaul’s previous outings. Five-of-the six field goals that Grays converted were 2-pointers. Pallas Kunaiyi-Akpanah, Northwestern’s third leading scorer and leading rebounder who averages 13.4 rebounds and points per game, exited the game just 25 seconds after tip-off due to an injury after diving to the floor for a loose ball. 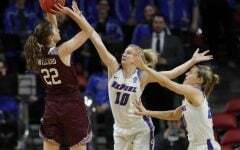 However, that injury did not halt Northwestern’s offense, as they jumped out to a 15-8 lead with 5:35 remaining in the first period on seven-of-10 shooting from the field. Northwestern’s lead then extended to 25-15 at the 2:47 mark, as DePaul head coach Doug Bruno called a timeout to get his team refocused. 16 of Northwestern’s points scored by then had come in the paint on 12-of-16 shooting. 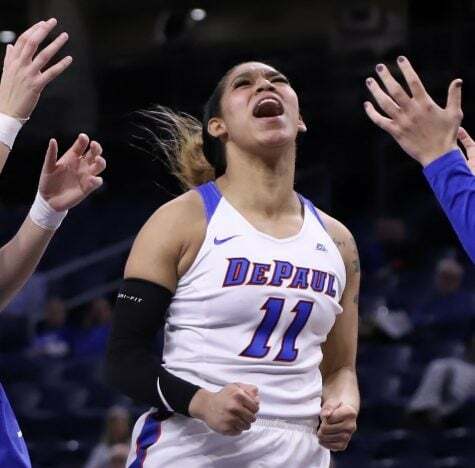 Northwestern would wind up leading DePaul 32-16 once the first period concluded, and Northwestern held DePaul to shoot just 29.4 percent. DePaul responded with an 8-0 run to begin the second quarter that included two-made 3-pointers, which cut Northwestern’s lead to 32-24. 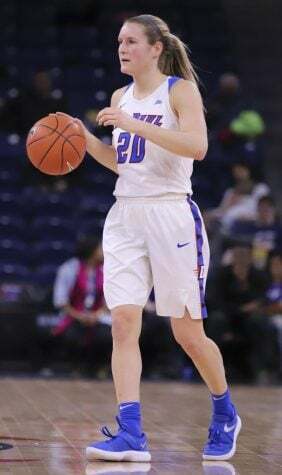 By employing a full-court defensive press, DePaul held Northwestern scoreless in the first seven-and-a-half minutes of the second quarter on a 0-9 shooting drought. As a result, Northwestern only scored three points during the second period and saw its lead be cut down to 35-33 at halftime. 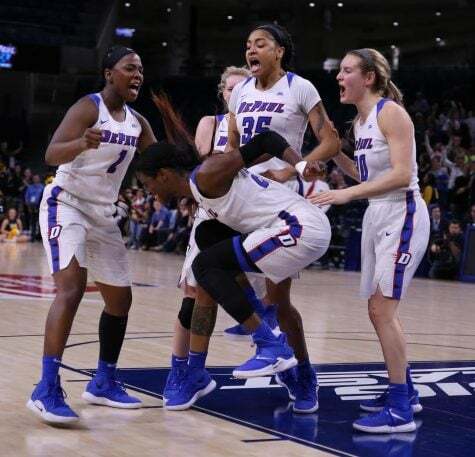 DePaul tied the game at 35 apiece off Ashton Millender’s mid-range jumper 10 seconds into the third quarter, getting the home crowd off its feet. 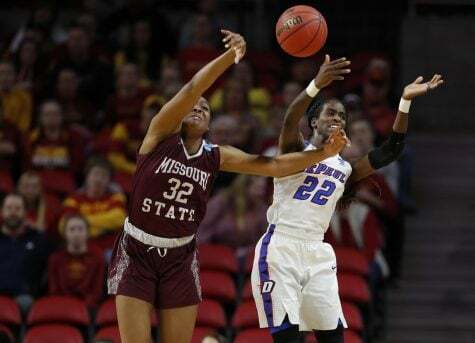 For the rest of the third quarter, DePaul’s offense cooled down, as they shot 29.4 percent in the period in similar fashion to first quarter. 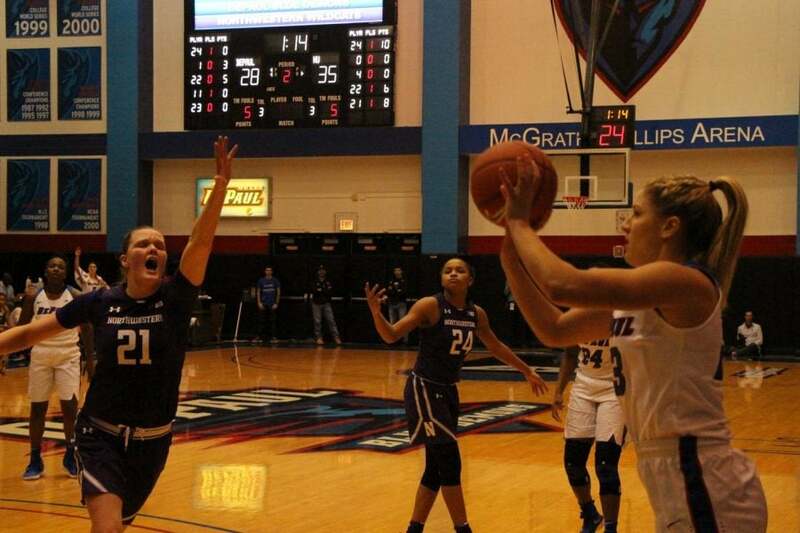 Consequently, DePaul led by just two points, 46-44, heading into the fourth quarter. 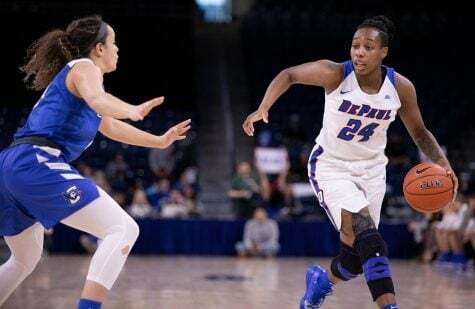 The fourth quarter proved to be a quarter of runs, as DePaul went on a 15-2 run on seven-of-eight shooting to boost its lead to 65-48 with just over four minutes left in the ball game. 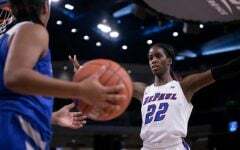 In the second half, DePaul outrebounded Northwestern 22-16. Stonewall finished with eight rebounds, Grays pulled down six rebounds while Bekelja, Tanita Allen and Kelly Campbell all grabbed five rebounds each. 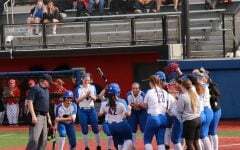 DePaul now heads on the road for a rematch of their NCAA Tournament game with Oklahoma on Sunday afternoon. 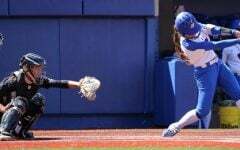 Last season the Blue Demons took both matchups with the Sooners.